Unlike many, black has never been my go-to color. In fact, I rarely wear it. I know a lot of you would argue how chic and sleek and classy black can be, but to me it is just a little boring. I think subconsciously I stay away from it because as soon as I put something black on, it would be covered in cat hair. Hey, I have nothing against it, it's just not my thing. Today's black on black look is probably the blackest you will get from me! I am really into this asymmetrical shearling leather vest I recently bought, it just drapes so nicely and perfect for layering. I paired it with a polka dot sweater, high waisted acid wash jeans, and these amazingly hand crocheted flats from Painted Bird. Shearling leather vest from GoJane. 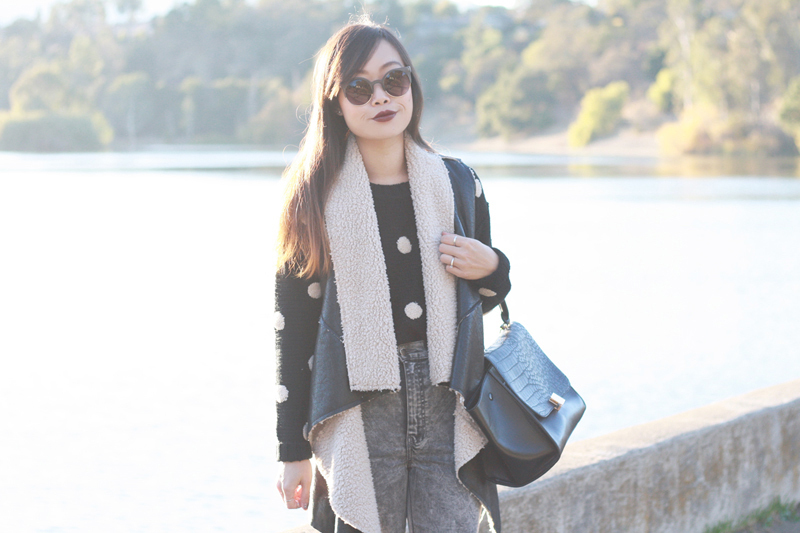 Polka dot pullover sweater from F21. Pearl hand crocheted flats c/o Painted Bird. 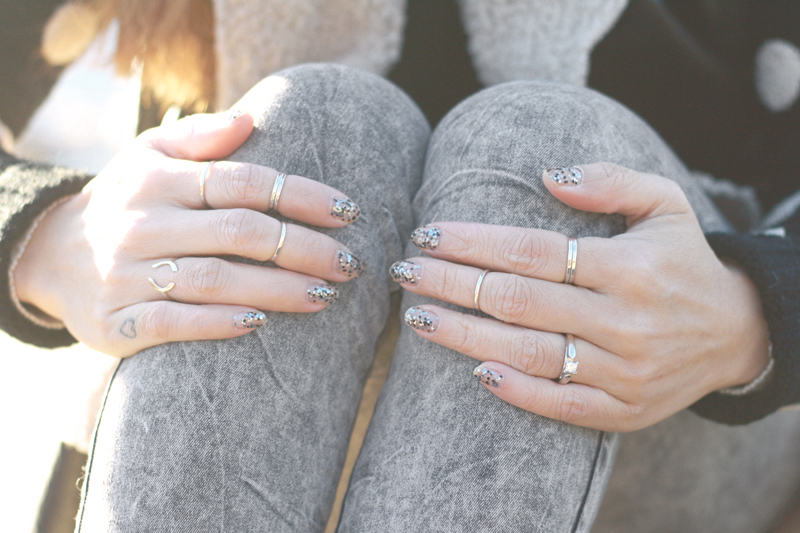 Mini Arc ring and delicate silver stack rings c/o Tiffany Kunz. love it all! those shoes are amazing. & your nails!!! I'm not much for an all-black ensemble either, but then I realized I was wearing one (except for the boots) on my blog today. Sheesh! I love all of the patterns and textures in your look. The details of your outfits always make me swoon. THose nails! Those shoes!